Well Friday we got SNOW! already, it's very unusual for us to have snow this early. Flurries yes, but not 7 inches. At least it didn't stick to much to the streets and it's melted almost is some areas. 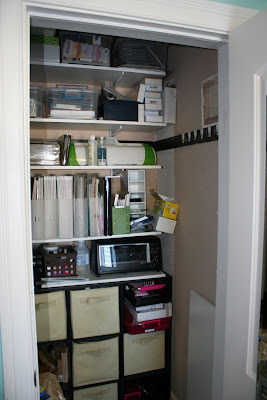 I've been waiting for a snow day to take everything out of my closet and paint it, then put up more shelving. as you can see from the white sections on the walls, whoever owned the house before us, painted around the closet shelving that was in there. We took that down a while ago and added shelves. I painted the closet the same color as my room. Only took about an hour or so. 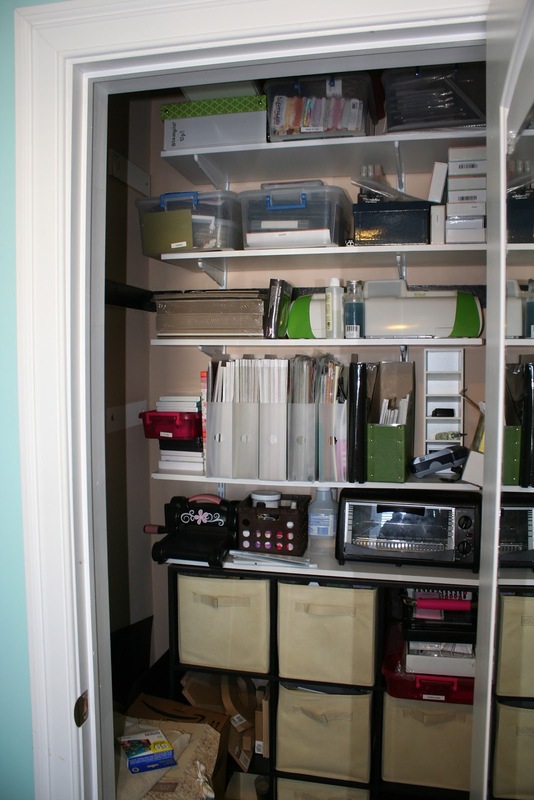 Scott did a little measuring and discovered that I could add shelving to the side wall, so now I have 10 shelves and was able to move tons of stuff from my room that I don't use with my everyday crafting to the closet. 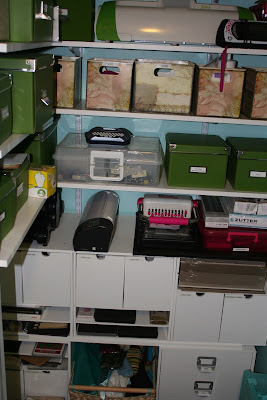 I was also able to add my JetMax cubes that I use for my Sizzix dies. Here's a better picture of the side wall. I redid my closet some time ago and love how it turned out. It was deep and narrow so I ran the shelves from front to back on both sides, giving me lots of room and I don't have to move things to get to them. Incidentally, my closet also holds my painting, sewing and other crafting supplies so I HAD to be really organized. I love it! 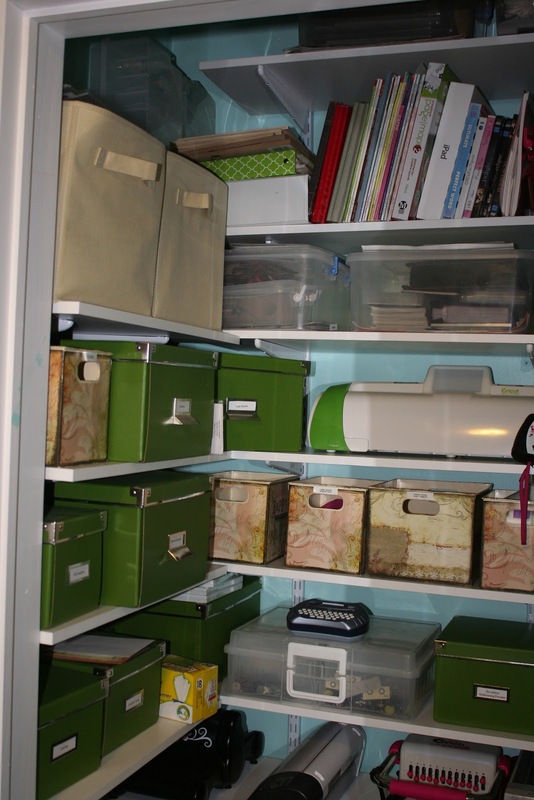 Sooooo organized, neat and tidy! Your husband is so good to you! Enjoy! 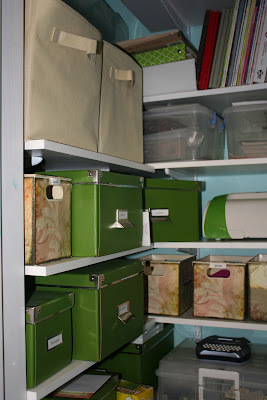 I always feel more creative when I'm organized! Wow! 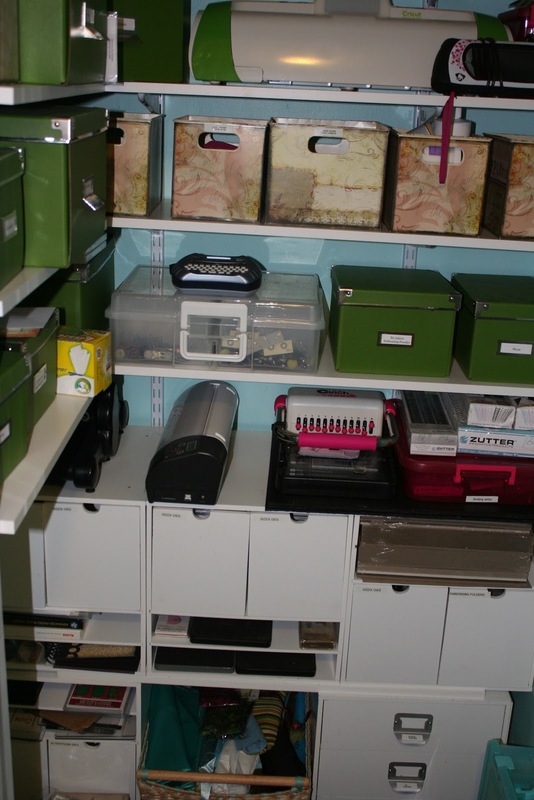 More room for storage is always a crafter's dream! Nice job by the hubby! LOVE IT! I just love reading how others organize their stuff so I can get ideas. 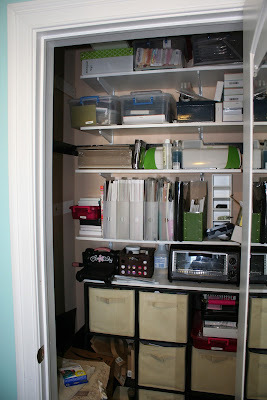 I am an organizer freak :) Enjoy your clean space! Looks great. Very organized I wish mine looked like this. will you please come to my house? I have a runaway train as a studio. Someday it's all going to fall on me and that will be that...except for the echo of my husband's "I told you so so so sooooooo."